Just running a search for the term ‘messaging apps’ or ‘video chat’ or ‘chat apps’ inside the Play Store or the iTunes Store will serve you up hundreds of different options but which is best messaging app for you? In this article, we look at 16 different apps and give our thoughts on each one. Yabb Instant Messenger is an all-in-one social networking chat app for Android and iOS that gives you the opportunity to communicate the way you prefer to communicate, whether that’s messaging, voice or video calling or sending Snapchat style photos. Yabb was designed for people to socialize with their existing networks but also meet new friends’ in a safe environment. You can see who is open to communicating and add them to your friend’s list and also see other Yabbers who are near you who are keen to meet. Yabb has its own social media wall so you can add photos and videos to that wall so people can share and like your content. We also moderate content so any photos that are deemed to be inappropriate are removed. 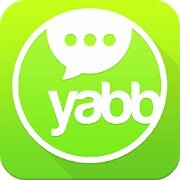 Yabb Instant Messenger is available on Google Play and iTunes. Self-destructing text messages – set a timer for how long you’d like your message to “stay alive” once someone sees it before it is gone forever. At the time of this writing, WhatsApp is the most popular messaging app connecting more than a billion humans. This is a staggering number of people all using one app not just to talk but to share multimedia media as well. GroupMe is a text messaging app that allows you to send group texts. How is this different from sending a group text on your mobile phone? When you send a group text using your texting feature on your smartphone you’re really only sending a bunch of individual texts, there is no group conversation happening. With GroupMe, every text you send out can be seen by everyone and everyone can join in the conversation even if they don’t have the GroupMe app installed on their phone. If you’re only interested in group chat then this is your go-to app however most people are after a few more features, in this case it may not be the best option. Mapping feature which tells you the location of everyone involved in the discussion. Line is battling for ultimate supremacy in the VoIP space against big names like WhatsApp and Viber. This messaging app offers good voice and video capabilities and has a solid following in Asia. Line also steps outside of just calling by offering emoticons, stickers, group messaging and the ability to share multiple media amongst other Line users, basically it’s a social media channel like Facebook and Twitter. 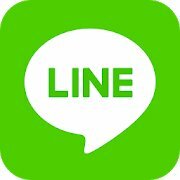 It’s not chained to your smartphone, you can use Line on your PC or Mac too. Calls to landlines, it’s not free but they’re cheap. You can run your life from this messaging app. It covers your social media needs, you make purchases using Line Pay or if you’re in Japan use it to hail a cab! It’s not well-known outside of Asia, chances are your friends will already be fully invested in another messaging app so it may take some convincing to get them to migrate all of their contacts over to a new service. It’s kind of bus to look at and there are ads of course but what app doesn’t have them, the point is that it just ads more noise overall. The interface isn’t as slick as Facebook or easy to use as other well-known social media adds like Twitter so it will take some time to adjust to the layout. WeChat was developed in China back in 2011 and now is a global social media app. Since going viral has gone on to become a serious competitor to WhatsApp and Viber with 100’s of millions of users around the world. Voice calls are interesting because they are in half-duplex which means that it works like a walkie-talkie, you start a voice message by pushing a button, WeChat records that message and then WeChat sends it over to the recipient. Registration is quick and easy since it uses your mobile phone number or log in with your Facebook details. “Look around” feature which makes you visible to others meaning you can meet new friends. 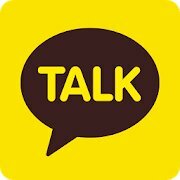 Kakao Talk is sometimes referred to as the Korean-WhatsApp. What is it? It’s a social app that showcases a lot of the familiar features we’ve all come to expect from similar messaging apps in this genre, like voice and video calling, instant messaging, location sharing, group text messages to name a few. Although it has a strong user-base of over 150 million people it is most popular in Korea so if you’re living in the west you not know anyone who is already using it. That said, if you’re planning a trip to Korea this is the only messaging app they use so it’s a must-have. Finding people is easy, you can run a search using their name, number or email address (this does, of course, raise security concerns for some. Cross-platform – you can switch between PC and mobile phone during a conversation great for when your phone runs out of juice. No data encryption which raises serious privacy issues it’s best to be careful about what you share. If you try to call someone who doesn’t have the KakaoTalk then the app will begin using your mobile plan minutes instead. 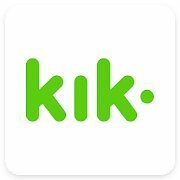 Kik is a cross-platform instant messaging app that can do much of the same things as similar apps in its category like one-to-one or group texting. Unlike a lot of its competitors, Kik doesn’t require a phone number but lets you set up an account with your email address. Kik allows you to send and receive messages from other Kik users and simulates real text messaging but uses your Wi-Fi connection instead. This is especially great if you are on a plan with limited texting credits, just use your data or find a Wi-Fi area and you’re texting is free. Another well-known name inside the highly competitive instant messenger space comes Tango. 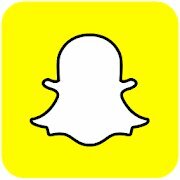 It doesn’t try to master and go deep with one feature like Instagram did with photo sharing or what Snapchat did with disappearing messages. 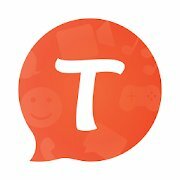 Tango is an all-in-one social networking app and it comes packed a good number of features like voice and video group chat, messaging, sharing multimedia, playing games, sending music to friends to name only a few of its core features. 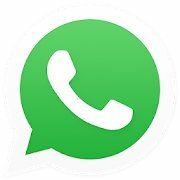 It’s a cross-platform messaging app which means you or your friends can use it without a smartphone, they can be on a PC, MAC, iOS, and Android. 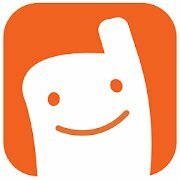 Public by default – this means that when you install this chat app on your device other Tango users can see you. So you’ll need to go into your profile and switch it to private, especially if you have kids who have this app. If you have Location Services turned off then you will keep getting an annoying pop-up asking if Tango can use your current location. Tango Out which allows calls to landline numbers in the US, Canada, Mexico, and India. 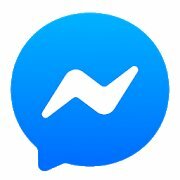 Facebook Messenger is one of the most popular instant messaging apps with over 1.3 billion users –that’s a lot. Smooth calling experience overall – we didn’t experience many picture freezes, stuttering, extended lag issues or any call dropouts. It’s controlled by Facebook. Privacy issues have been raised in the past and to be fair Facebook was, and still is about monitoring its users, you can read a popular blog post here from 2017 about Facebook Messengers privacy issues. Connect with businesses to make reservations etc. 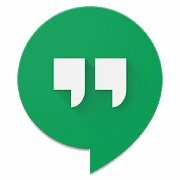 Google is known for keeping things simple and Hangouts seems to follow that tradition. It’s simple in design and fairly intuitive if you’ve never used it before it doesn’t take you long to figure how to send messages or start a video call. For simple chatting, it’s a great option with the only downside being that it can lag especially in group video situations so you and your team will need a reliable and strong internet connection. Google hangouts can be laggy so needs a strong internet connection to run well. Apple’s Group FaceTime for iPhone and iPad supports up to 32 people on a single call and offers a very smooth and intuitive experience. It offers Animojis, text and other cool designs which you can access using the little star on the left-hand side. 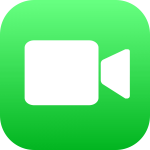 Group FaceTime still works for older versions of the iPhone but you won’t get access to the same special effects while on the call. Runs really well without much lag. The more people who jump on the call the more demanding of resources the app will become so if you have an older iPhone you may experience your phone heating up. Takes a little bit to get your bearings but everything seems to work seamlessly once you’re up to speed. Security issues (Eavesdrop bug) – as of January 2019 iPhone disabled GFT because users could initiate a FaceTime call and start listening in on the other person’s conversation with them answering the call. Data encryption – keeps all of your information secure. BBM (Blackberry Messenger) is now available for both iPhone, Ipad and Android devices. Most newcomers who are unaware of anything before Android and Apple may not be familiar with Blackberry’s but they were one of the first phones that had a full Qwerty keyboard. 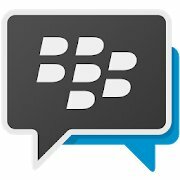 These devices have fallen far behind the two current mobile giants (Android and Apple) but are hoping to regain some of that lost footing with BBM which allows Android and iOS users to make free calls and text messages to contacts that own a Blackberry. Added privacy with PIN’s (personal identification number) that is unique to specific users. 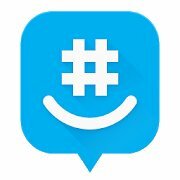 Not BBM’s fault but there is not a lot of people using it and chances are if you’re part of the millennial group you probably won’t know anyone using this messaging app. BBM uses PIN’s instead of phone numbers and email addresses to identify a specific user. Snapchat is really about capturing moments in real-time and it does this very well. Instead of sending away a text message about someone doing something, just whip out your phone and take a snap it says so much more than a text message could. This visual approach has made it a valuable marketing tool for businesses to send visual promotions to their customers or for influencers to grow their audiences and personal brand. The new interface is a little confusing and hides a lot of the stories from friends, family and, customers. 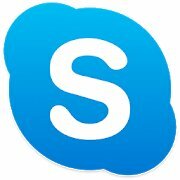 Skype has been around for a long time and it was the first video chatting software that I used to make calls with. One of the best things about Skype is that it’s cross-platform so you can begin a conversation on your computer and finish it on your mobile. Not only that but for a small fee you can use it to call landlines and mobile phones. It feels “heavy” as in it feels like it is using up a lot of resources while it’s running on your computer. 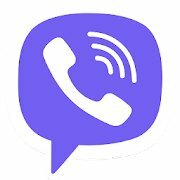 Viber is one of the most popular instant messaging apps on the market but will likely always live inside the shadow of Skype and WhatsApp. That said, Viber (Rakuten) is not a small player in fact according to Statistica Viber Messenger has more than 1 billion registered users globally in 193 countries so the chances of people you know using this app are going to pretty good. The call quality isn’t as good as other apps (Skype, FaceTime etc.) and it does seem to be a little lag so you find yourself interrupting the other person during the conversation but this didn’t always happen. 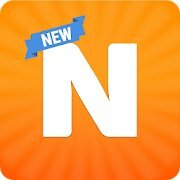 Share images, photos, stickers etc. Nimbuzz messenger was recently acquired by Mara Social Media group and has over 200 million registered users. It packs a lot of the same features that you would already be familiar with like voice calls, conference calls, messaging, chat rooms etc. this is all packaged up inside a clean nice looking app. I remember back in 2005 while working for Vodafone there was a mobile phone we had featured push-to-talk technology (i.e. works like a walkie talkie), I think it was Motorola and it sold really well until the new 3G video calling phones hit the market. Message recall – ever said something you wish you hadn’t? Voxer allows you to recall that voice message like it never happened. People have reported bugs in relation to sending messages (it says it’s sent even though it hasn’t) we didn’t experience any of this, however. Spend Labor Day Together… With Yabb!